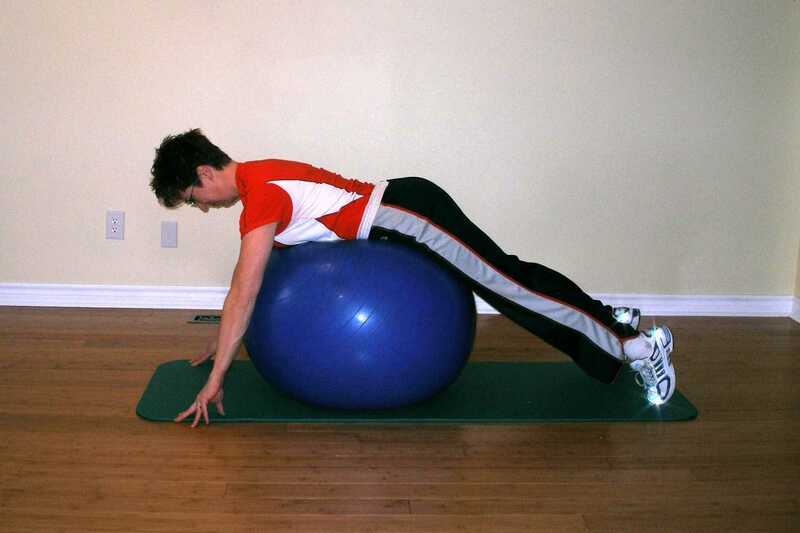 Lie face down over the exercise ball with your waist line at the top of the ball. Raise one leg up to the horizontal and hold for 2 seconds. If you find this difficult, don't hold the leg up at the top, or alternate legs instead of doing all the repetitions with one leg at a time. Try and keep your weight from shifting onto your hands. Don't allow your pelvis to rotate, keeps your hips level, and don't hyperextend your hip. You should form a straight line from your raised foot to your head. Focus on contracting your glutes to raise your leg and keep the knee completely straight. Keep your neck straight and chin tucked in to avoid neck strain. If your back is weak, take frequent rests. Try Prone Leg Raise 2. Raise and hold for 5 seconds instead of 2. Increase the speed of your movements. Put a light ankle weight on your ankles. Move your hands and feet closer to one another to narrow your base of support. Your starting position would be same as above but with one knee bent to 90 degrees. You have both hands on the floor, one foot on the floor and the other foot facing up. Keeping your knee bent lift your foot and knee up to the ceiling. 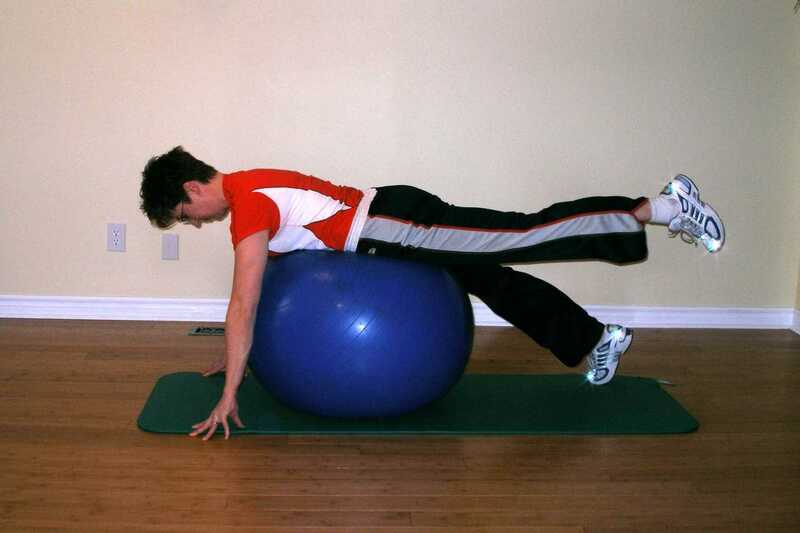 If you find you are rolling off the exercise ball, let a bit of air out of it, and spread your hands and feet further apart.